Waile’a ‘s vanishing historic sites. The ancient ahupua’a (land division) of Paeahu begins at the northern edge of Maui Meadows and ends just before the Kea Lani resort. 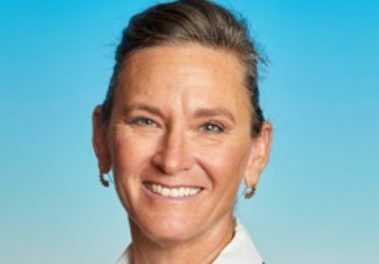 It includes major hotels like the Grand Wailea, Marriot Wailea and Four Seasons and many neighborhoods such as Wailea Elua, Wailea Ekahi, the Palms at Wailea, Wailea Point, Wailea Beach Villas, Wailea Golf Estates, Wailea Kialoa and others. The ahupua’a of Paeahu is also the solemn resting place of hundreds of traditional Hawaiian burials from the14th century on and holds a special significance. Enjoy an illustrated slide show of the historical and cultural sites that still remain to tell the story of this world renown area of Maui. 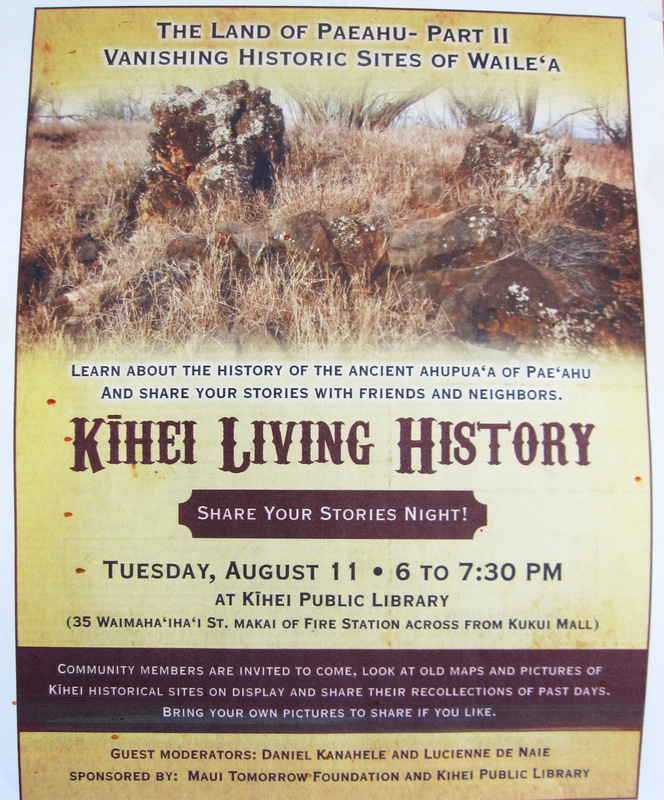 The slide show will be facilitated by local historical researchers, Lucienne de Naie and Daniel Kanahele. 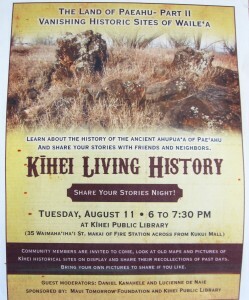 Kama’aina of the area are also been invited to share their family stories and remembrances of the region. For additional information on the event go to maui-tomorrow.org. Who’s KCA & for what do we stand?